Kolkata’s trendiest café hood, the area around Purna Das Road and Southern Avenue, is rocking it like a bawse. And it just got a cool new addition. 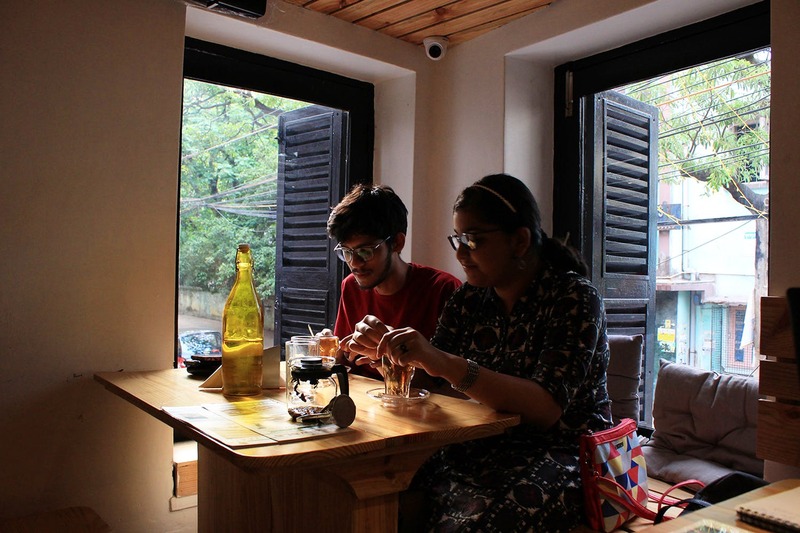 Tollygunge’s The Chaiwala has joined the hood and we couldn’t wait to check it out. Plenty of cafes line the block of Southern Avenue, but The Chaiwala’s BLT sandwich melted our hearts with a generous dose of bacon, chicken and eggs. They’ve got good chai varities too. We loved the sencha and lemongrass tea. Though the floor above with the heavy wooden interiors may seem a little holed in, we hung around quite a bit because the Wi-Fi was free and vibe chilled out. We also tried some desserts to keep up the mood. The Nutella burst pancake is a favourite here, but the waffles were a tad hard an dry. They have more than just good food and quirky décor. While we loved the cool posters and their bulletin board, we couldn’t keep ourselves from grabbing the kitschy Papercup and The Bong Sense merch stack of notebooks, calendars, lamps et al. Oh, and they also have Urvija body products and funky jewellery from Red Velvet. With the likes of Zakir Khan and Chondrodoy Pal lighting up the gig scene in The Chaiwala’s Tollygunge café, this new outlet is also lining up good stuff. Every Tuesday, the amazing group of young wannabe stand-up comedians, Comedy Bylane, brings down the roof. Owner Sukrit is an alumnus of Visva Bharati’s Kala Bhavana, so artists be sure to approach him for displaying your artworks in the café space. Check out more on them here. They are open 11 am to 10 pm (Mondays 4pm onwards). Pocket Pinch (for two): INR 500.